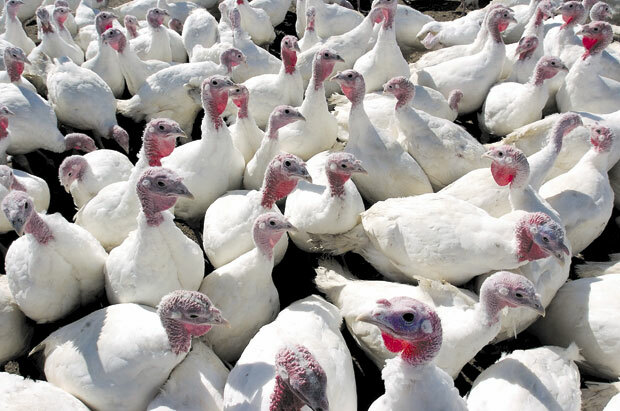 A bunch of turkeys are being fattened up at The Turkey Farm at 209 Mile Hill Road in New Sharon on Friday afternoon. The farm has pre-sold 44 percent of the tender birdies so far. To place orders or for more information go to theturkeyfarm.com or call 777-2889.